How successful are bone grafting and GBR (Guided Bone Regeneration)? 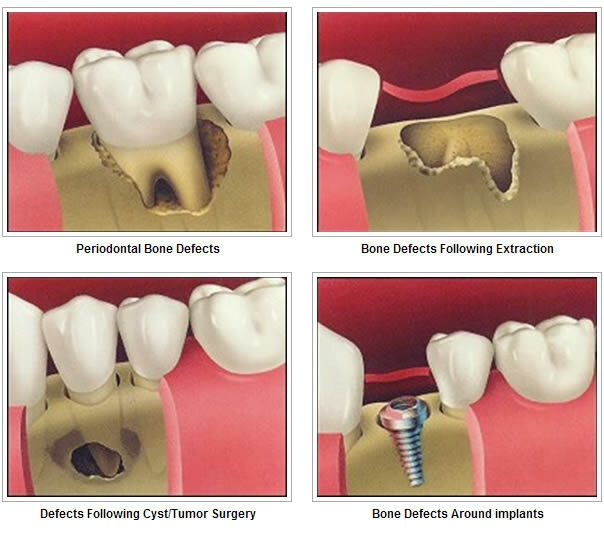 Recent advances in technology have dramatically increased the success of these procedures, leading to bone formation and resolution of the defect. However, depending upon the reason needed for these procedures, success rates will vary. Also, different graft & GBR materials seem to affect the amount of new bone formed. And finally, your own overall health will also help determine the degree to which new bones will form within the grafted site. Yes. Some grafts are taken from different parts of the patient’s own body (i.e. from the hip bone or chin). Other grafts come from deceased human organ donor, from synthetic materials, and from highly purified bone mineral. Likewise, there are different types of GBR membranes. Some are made from synthetic polymers a must be removed during a second surgery several weeks or months later. Others are made from natural materials and are gradually resorbed (melted away) by the body.